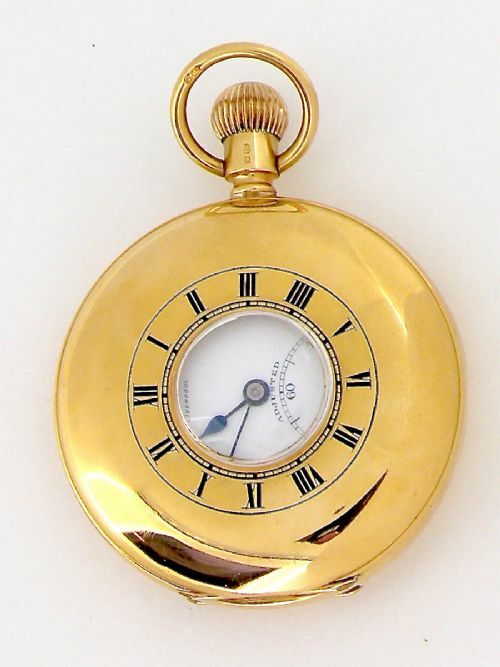 An 18 carat gold half hunter pocket watch by Thomas Russell of Liverpool. 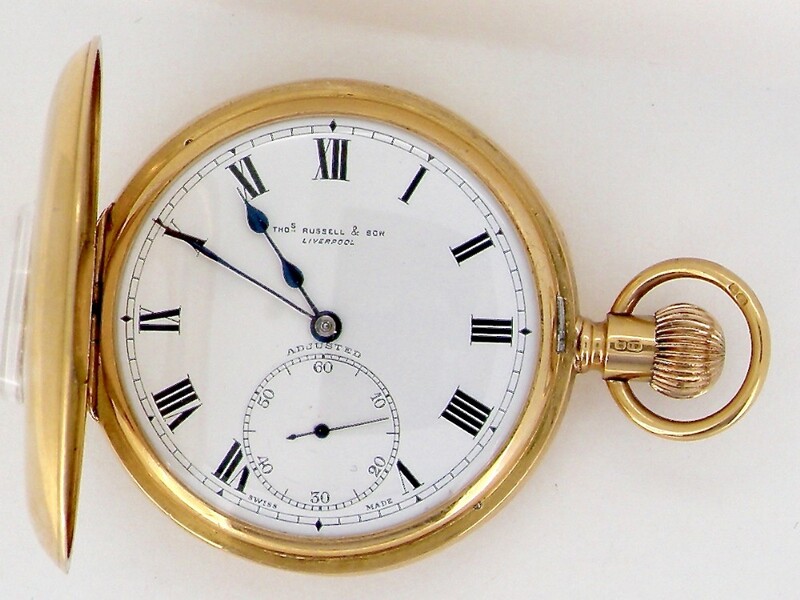 Fine white enamel dial with applied roman numerals, seconds dial at six o'clock blue steel pointer hands. 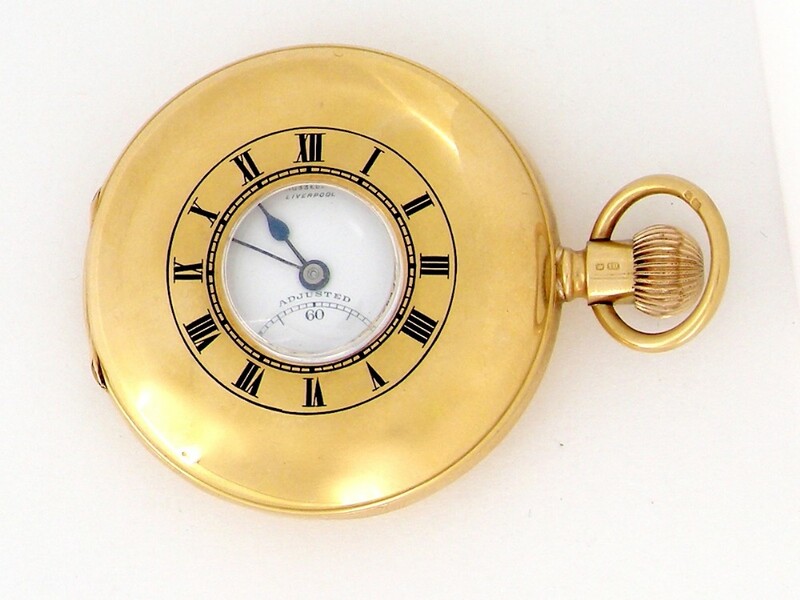 Front of the case has applied enamelled roman numerals. 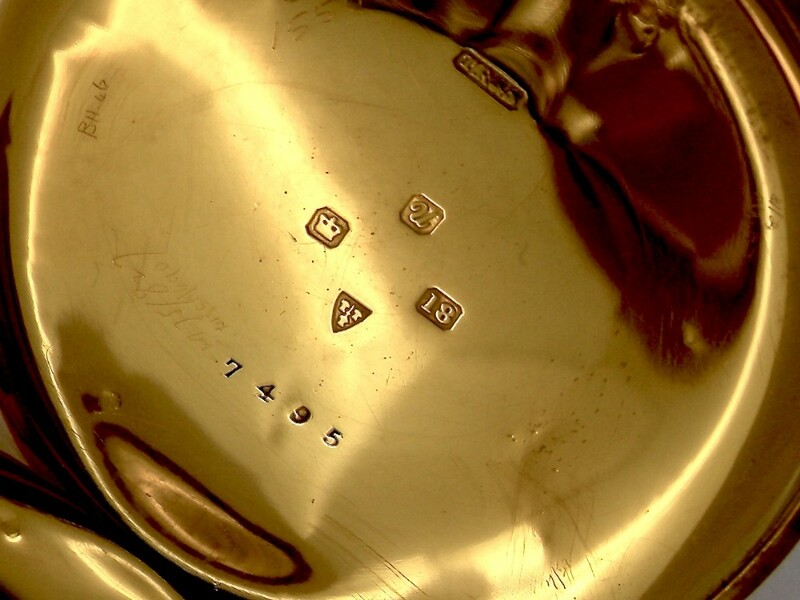 Reverse does have engraving, but this is stylised initials and only covers a small proportion of the reverse. 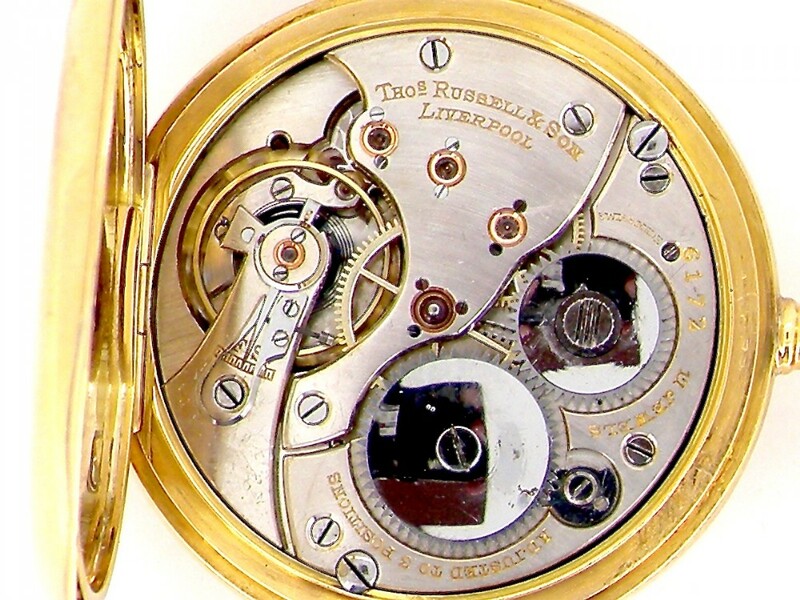 Case opens to reveal hallmark for Chester 1920. 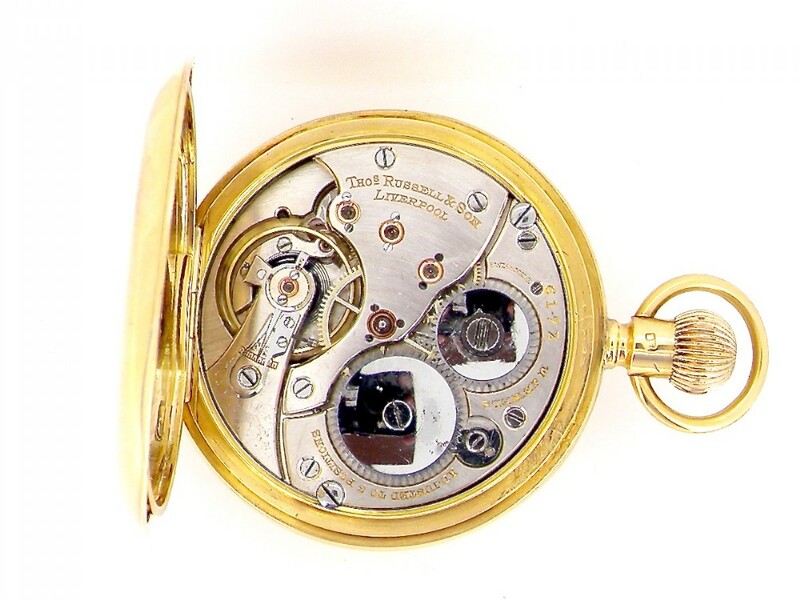 Case interior also 18 carat gold (not metal) Swiss movement signed, 17 jewels, Ref 6172. 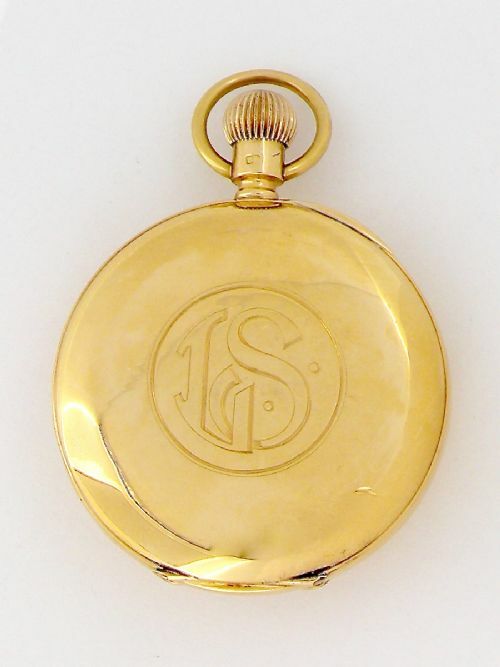 Diameter 49mm, weight 101.2grams. 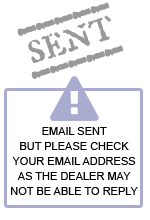 Fine condition, one year warranty, recently serviced. Gift box supplied. 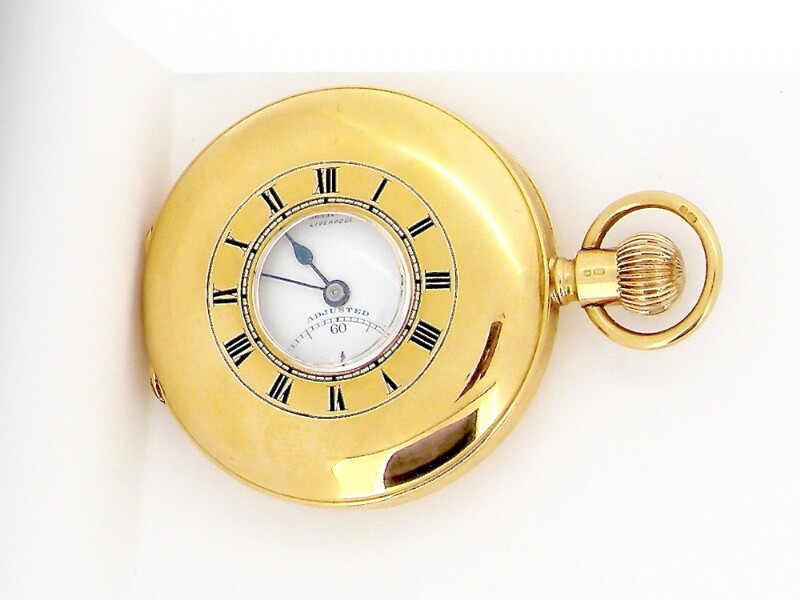 The An 18 carat gold half hunter pocket watch has been added to your saved items.